The Serinus range of gas analysers gets an upgrade! 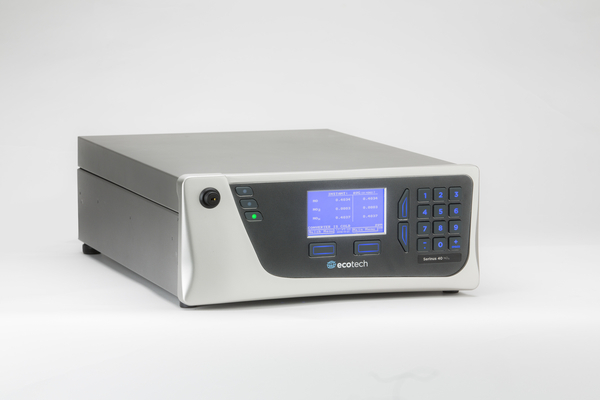 In this fast paced modern world where electronic technology changes on a monthly basis, Ecotech is continually assessing how best to integrate these advances whilst providing robust equipment we can continue to support for years. With this as a driving factor, we are transitioning to an improved microprocessor in our Serinus instruments to guarantee supply for the next ten years. At the same time we have taken the opportunity to incorporate a new auto switching power supply, which removes the need to manually select the input voltage. The new power supply also reduces the power circuity on the main Serinus PCB, as it provides most of the discrete voltages required as has become common in the industry.